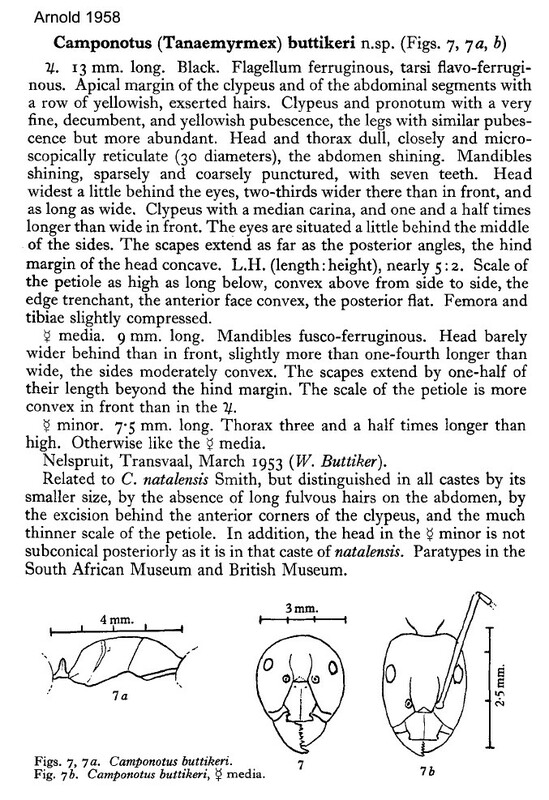 Type locality South Africa (Camponotus (Tanaemyrmex) buttikeri n. sp., Arnold, 1958: 126, illustrated, major & minor workers); major & minor workers only described (see Bolton, 1995) . 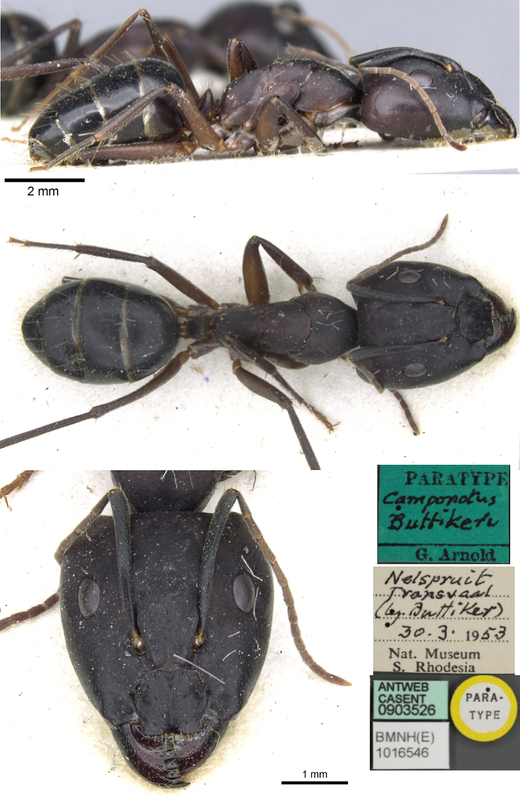 The photomontage of a paratype major worker is collated from http://www.antweb.org/specimen.do?name=casent0903526.